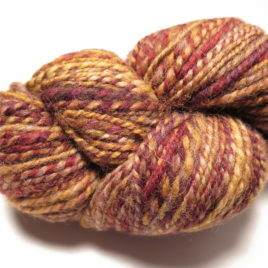 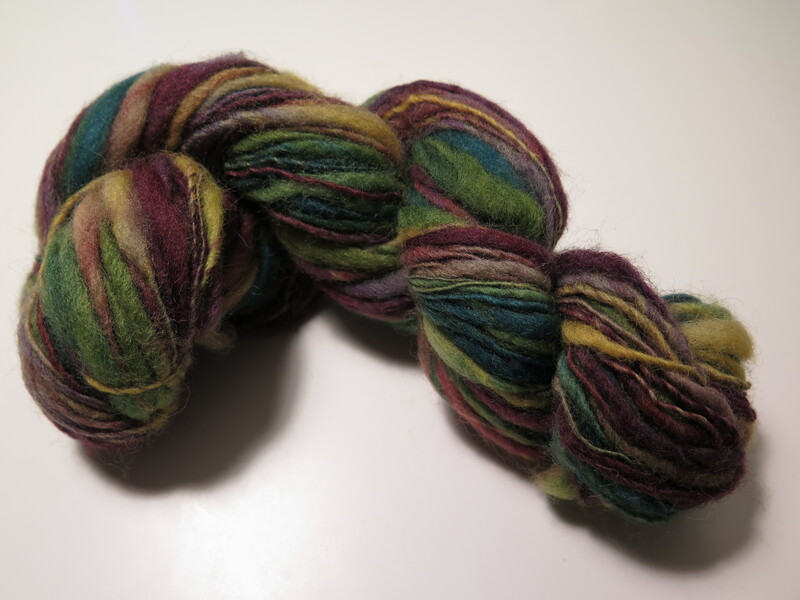 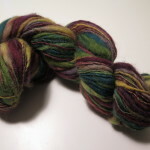 This yarn was handspun from handpainted corriedale wool top. 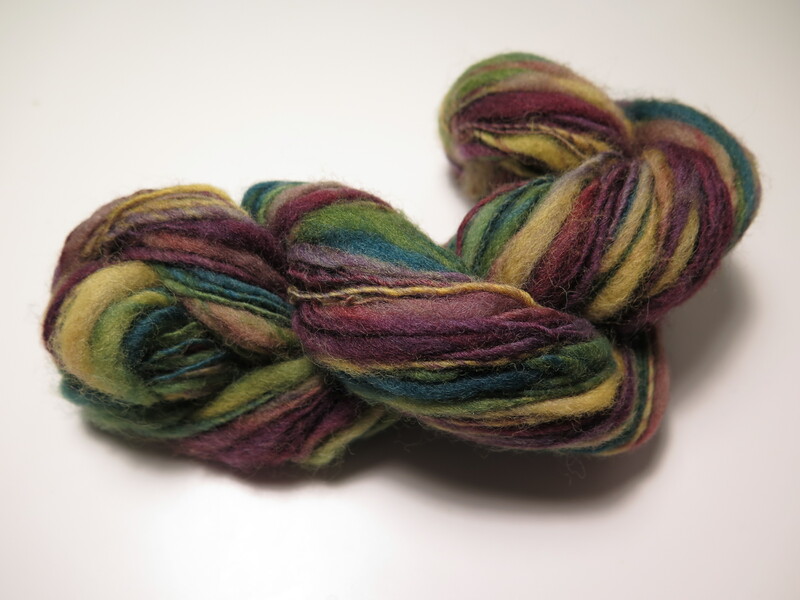 It is a moderately fluffy thick-and-thin yarn, approximately 102 yards and a working grist of worsted weight. 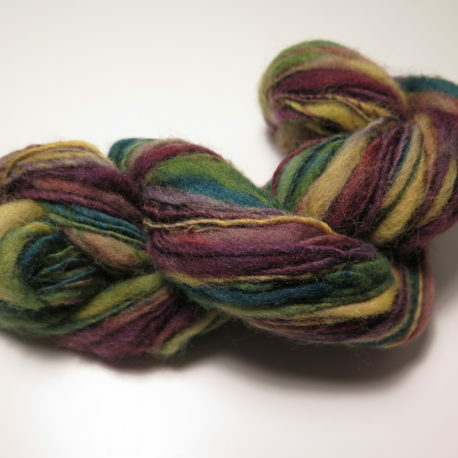 This yarn would work well as accent yarn and would be especially nice as a stripe against a simpler/more traditional yarn.